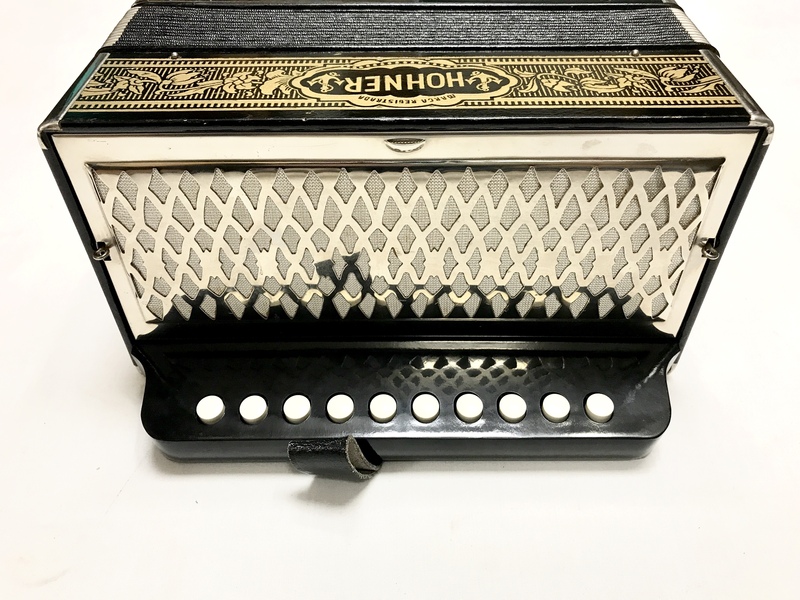 A pre-owned Hohner Pokerwork Melodeon in G. This little one row melodion was built by the highly respected Hohner factory in West Germany, most likely during the 1960’s. It is an extremely lightweight and compact instrument, so would be ideal for playing for morris dancing, pub sessions, travelling with, or carrying around folk festivals etc. 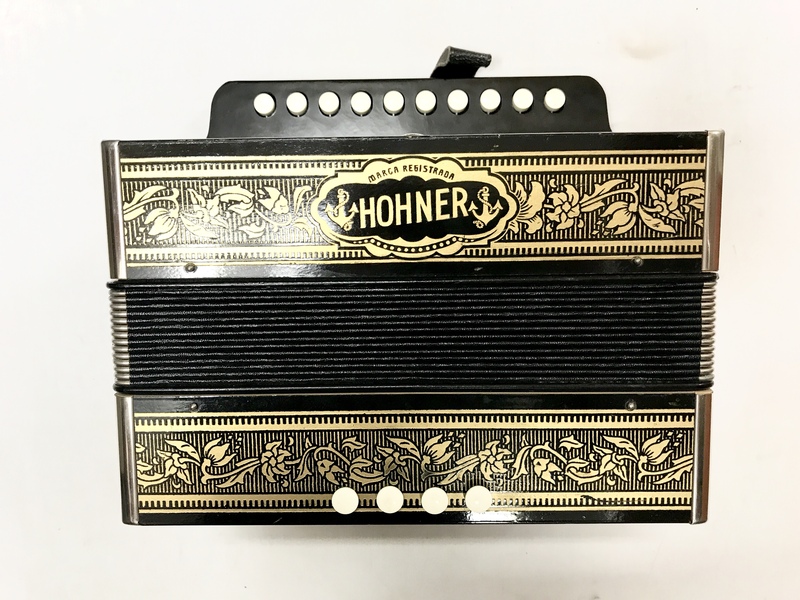 The Hohner Pokerwork is known to be the workhorse of the folk music world when it comes to melodions, and is a virtually bomb proof little box. This particular example appears to have only had very light use, and is in good all round general condition for it’s age. Finished in the signature “Pokerwork” casework, and tuned to the key of G, making it ideal for playing folk music on. 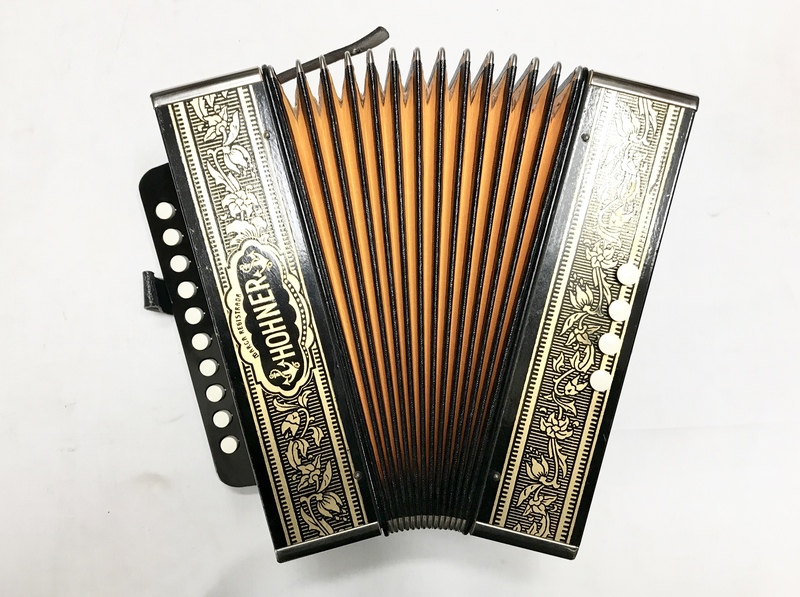 A 0% interest free loan is available on this Hohner Pokerwork Melodeon subject to status via the Arts Council. Terms and conditions apply – please contact us for full details. 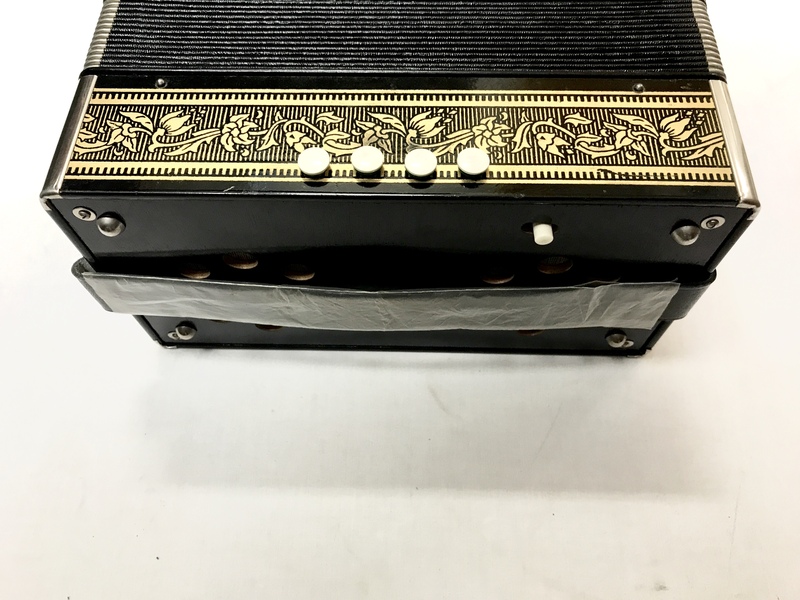 This Hohner Pokerwork Melodeon in G comes with a 1 year component parts guarantee. Don’t forget, free delivery of this Hohner Pokerwork Melodeon to most parts of mainland UK is included in the price of this accordion! Weight: 1.81 Kg. - 4.4 Lbs.